Compare prices and find affordable car hire in Boston. We search among multiple suppliers to find the cheapest prices. Unlimited mileage, the necessary insurance and tax are included in the rate given. 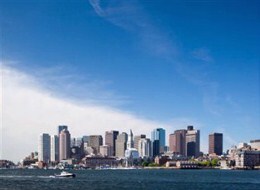 The city of Boston is the capital and the largest city in the state of Massachusetts. The city boasts a population of 617,594 inhabitants (2010) and is 232.14 square kilometers in size. The city is often regarded as the Capital of New England due in large part to its cultural and economic impact on the area. The city is full of museums, historical attractions relating to the creation of the United States, and many live performances, including the famous Boston Pops performance on the Fourth of July. Things to see include the New England Aquarium, the Peabody Museum of Archeology and Ethnology, Newbury Street, and the Freedom Trail. Other things to do in Boston include the Boston Common and Public Garden, Newbury Street, and the Boston Harbor Islands State Park. There are also many events, including the Fourth of July Celebration and, because of the large Irish population, the St. Patrick’s Day Celebration. The airport in closest proximity to Boston is the General Edward Lawrence Logan International Airport (BOS). It is located 4.59 kilometers from the city. Aside for being a focus city for US Airways, Delta Airlines, and JetBlue Airways, other airlines serviced by this Boston airport include Air Canada, Air France, British Airways, Alitalia, American Airlines, and Lufthansa.